Created to help curb the high cost of Special Education Transportation by providing resources for districts to use to create cost efficiencies and maintain a high quality standard for all special education students. 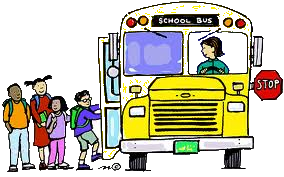 The Members of the Massachusetts Special Needs Transportation Task Force, with the Massachusetts Department of Elementary and Secondary Education, have an abiding commitment to high quality, cost-effective transportation for the Commonwealth’s students with disabilities who require such services. The Task Force has an unmitigated belief that this can be accomplished by creating efficiencies in routing students by utilizing a shared multi-district approach, or participating in regional transportation network systems that have been established across the Commonwealth. Further, the Task Force believes that it is imperative for all school districts to participate in these joint efforts, taking a leadership role in creating greater cost efficiencies while maintaining and supporting the highest quality of service in the area of special needs transportation. By working together we can best serve all students. This website is designed to provide valuable information to you as you strive to create cost efficiencies and maintain a high quality standard in the area of Special Education Transportation. The key to saving money in special education transportation is to maximize the number of students on a vehicle, and to share the cost of that vehicle. The information provided on the "District Data" tab will assist school district administrators in identifying other neighboring districts that are transporting students to the same school. This information can also assist with new placements as districts seek to provide transportation services. The Massachusetts Association of Pupil Transportation (MAPT) was awarded a two-year contract effective January, 2018, from the Department of Elementary and Secondary Education to sustain the on-going efforts of the State Special Education Taskforce. MAPT, in coordination with the Task Force, will create an outreach plan to promote the project and general participation across the state, using presentations, training sessions, conference calls and stakeholder websites. 50% contribution from the district. Click here for more information. This report provides you with the October 1 DESE SIMS Data according to the information districts provided the Department of Elementary and Secondary Education. You can select your district in the drop down to see which programs you send students to or select all to see every program. Vendor information, obtained through a district survey, is provided for those participating districts. Efforts are underway to gather information from every district in the State. This information can assist districts in setting up transportation services not only for special education students but homeless students as well. Mapping modules are available for student and vendor data. Colleen Cavanaugh has been involved in Special Education Transportation for over 25 years. She has been actively involved in the State Special Education Transportation Pilot Grant since 2005 and her subsequent work has resulting in substantial savings for participating school districts. She has met all requirements and successfully completed the National Association for Pupil Transportation Special Needs Training Program.